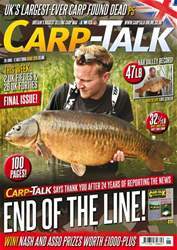 This week’s extra 16-page Trade Special of Carp-Talk (issue 1095) is available to download now. Ben Wales takes a look at all the new and soon-to-be-released products from the industry’s biggest names, including the likes of Nash, Fox, Greys, JRC, Trakker and many others. 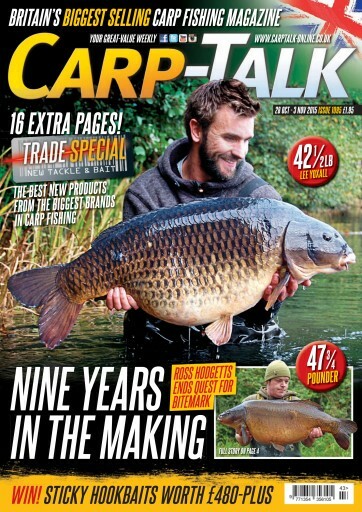 Look out for the fantastic story of Ross Hodgetts’ capture of Stoneacre’s Bitemark, ending a nine-year quest. We’ve also got lumps from Grenville’s, Welly, the Dell, Blackwater, Ringstead, Darenth, Menards and various others. Ian Russell gives away a few of his edges for targeting pressured day-ticket carp this autumn, and Oli Davies explains why he likes to target the margins this time of year. 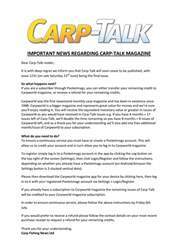 David Fuidge talks range fishing, and Mark Holmes focuses his attention on day-only fishing. Newly crowned world champions Billy Flowers and Jamie Londors offer some tips on how to speed up your catch rate. 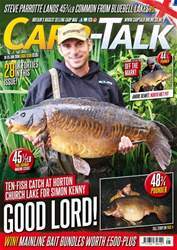 We’ve also got £480-plus worth of Sticky hookbaits to give away.